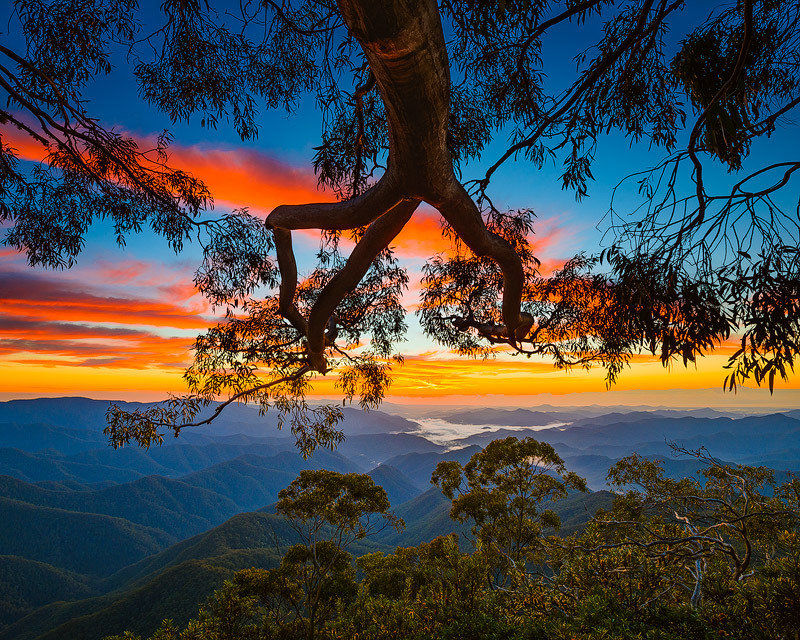 Point Lookout, a mountain on the Snowy Range, a spur of the Great Dividing Range, is located in the New England National Park on the eastern edge of the Northern Tablelands in the New England region of New South Wales, Australia. With an altitude of 1,564 metres (5,131 ft) above sea level, Point Lookout is the second highest peak in the region. At sunrise, the mist in the valley turns from orange to pink as the sun erupts above the distant horizon. It's no wonder this is one of the most photographed sunrises on the NSW North Coast. This image belongs to the travel and nature stock photo library. This stock photo of Sunrise at Point Lookout is available for licensing for commercial and editorial uses including websites, blogs, books, magazines, brochures and advertising. Restrictions may apply for images which contain third party copyrighted material or sensitive subjects. Photos of artwork are for editorial use only. This image id AU-NEW-ENGLAND-POINT-LOOKOUT-0001 of Sunrise at Point Lookout, is copyrighted © by Ilya Genkin. This is not a public domain image.